If Yohei Shibasaki hadn’t previously worked for Sony Corp., the giant that once dominated the global electronics industry, his 7-year-old human resources firm might not have grown so fast. “Don’t just look at the Japanese market, but always target the global market. Offer innovative products that others have never created before. And the feeling of ‘Wow!’ is very important. 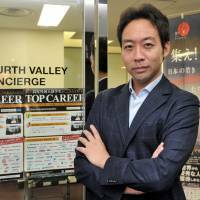 Those are the things I learned from Sony,” said Shibasaki, CEO and founder of Fourth Valley Concierge Corp.
Shibasaki brought much of what he learned during nearly a decade at the electronics giant to Fourth Valley when he set it up in 2007. “What it means is that we must offer something exciting on a global scale, and be the first in the world to do it,” he said. Every year, Fourth Valley Concierge representatives visit emerging countries like Russia, India, Myanmar and the other ASEAN nations to hold job fairs and conduct interviews with nearly 3,000 new graduates from top universities. Based on those interviews, it creates a database and introduces talented young blood to client companies based on their needs. Shibasaki, 39, said that in today’s increasingly globalized world, more students are studying abroad but few are actually crossing borders to get a job, due partly to the difficulty in obtaining a working visa. “I want to help increase the mobility of young talented people. I want them to find the best working place in the world where they can shine,” Shibasaki said in a recent interview with The Japan Times. He thinks this concept has great potential because of the rapid population decline taking place in some countries, notably Japan and China. These two regional giants are projected to face labor shortages in the not-so-distant future. 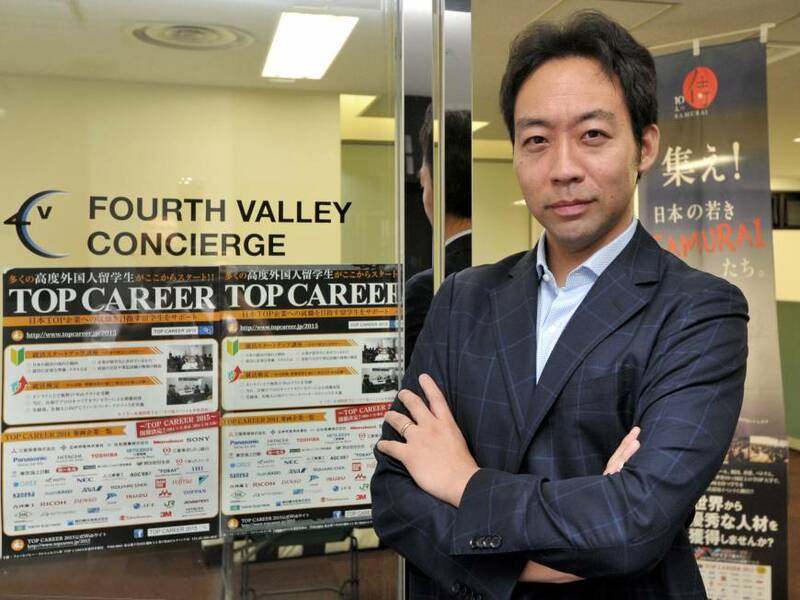 Fourth Valley’s main clients have so far been Japanese firms looking to hire talented individuals from overseas, including a major IT firm and a globally active trading house. When he was at Sony marketing and selling cameras for use in mobile phones, he met business executives from the world’s top 20 handset makers, including Nokia, Motorola, Samsung and LG. It was these frequent encounters with highly skilled young people that made him realize how much Japan was lacking such talented professionals. Although global human resources companies like Manpower and Adecco have already established networks around the world, many of them mainly cater to local markets, Shibasaki said. Their Tokyo offices introduce people to companies based in Japan, he said. Fourth Valley, on the other hand, has a unique business plan that has allowed it to establish a network with top universities, meet the students in person, evaluate them and introduce the best candidates to its clients. Fourth Valley later found that what its clients value most is this screening process, which is carried out by employees based in eight countries, he said. “The process is time-consuming and tough, but that makes us unique,” said Shibasaki, who was selected by the World Economic Forum as one of the Young Global Leaders of 2013. The title is given to young leaders who commit their time and talent to making the world a better place. The company has accumulated data on nearly 100,000 top students from some 100 countries. Its goal is to amass a database of about 300,000 students by the end of the year and 1 million in three years. But, like many ventures, Fourth Valley’s first two years were not easy. Although it didn’t suffer financially, the company did everything it could to earn money, including translation and helping travel agencies conduct questionnaires and distribute leaflets. And since it started out with only himself, another founding member and about 10 student part-timers, they had to work long hours and sometimes missed the last train home, forcing them to sleep at the office, the former Sophia University football player said. But thanks to their diligence and hard work, Fourth Valley has reported an operating profit for five consecutive business years. It is now targeting nearly ¥1 billion in sales for the current year, compared with just ¥7 million in its first year, Shibasaki said. Now the company is drawing up plans to extend its human resourcing efforts from students to experts in different industries and fields worldwide. Over the next two years, the company hopes to compile a database of experts in various fields, including sushi chefs, pilots, IT engineers and artists, so people with special high-end skills can land jobs all around the world. 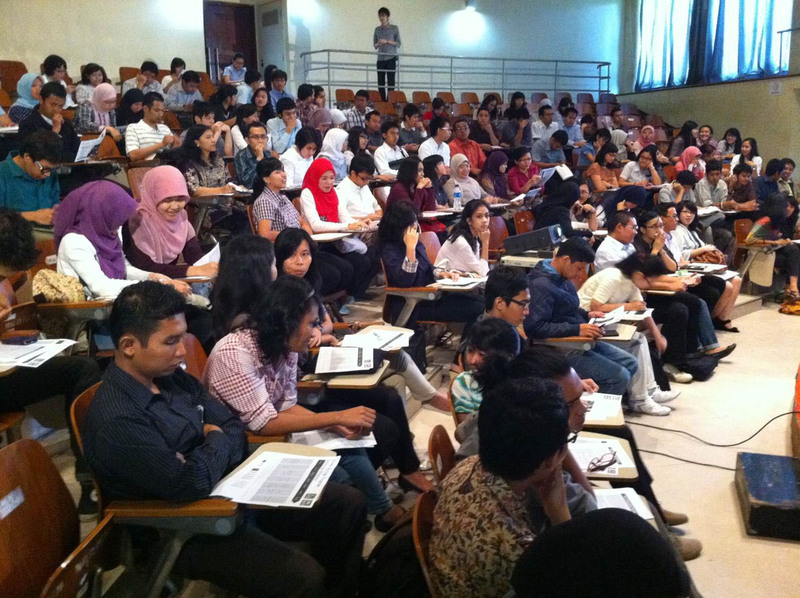 In doing so, the company will ask leading figures in each field to become evaluators of young talent. 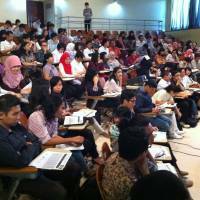 The company will also start scholarships for university and high school students in 13 emerging countries in ASEAN and South Asia. Its programs will be supported by corporate sponsors. Unlike other Japanese scholarship programs, which focus on bringing foreign students to Japanese universities, Fourth Valley wants its program to help students attend their own local universities. For example, in Myanmar, tuition costs about $100 a year. So if a sponsor company chips in ¥5 million, it will be able to help 500 high school students get a college education, according to Shibasaki. Sponsors can also support a program that offers 10 selected university students a chance to take a 14-day educational trip to Japan. Since Fourth Valley is responsible for running the programs, it charges Japanese companies ¥5 million administrative fee each year. In return, Fourth Valley will save the students’ information and allow sponsors to access it after providing them scholarships. This allows the sponsoring firms to benefit by improving their images and profiles in emerging economies, Shibasaki said. 1998 — Graduates from Sophia University; joins Sony Corp.
“Generational Change” is a new series of interviews appearing on the first Monday of each month, profiling people in various fields who are taking a leading role in bringing about change in society. Readers are encouraged to send ideas, questions and opinions to hodobu@japantimes.co.jp .